Organise, sort, make room, serve at the table: it doesn't get any easier with the Arigatoe tray. To serve tea or as an organizer for your desk. 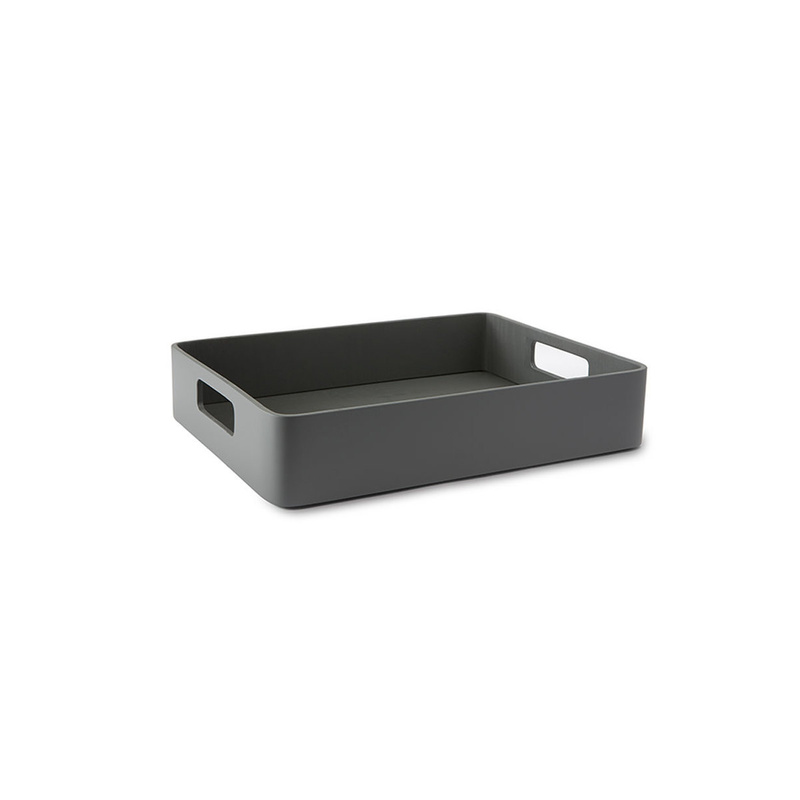 Use it as a tray for miscellaneous projects or as a divider inside a drawer. 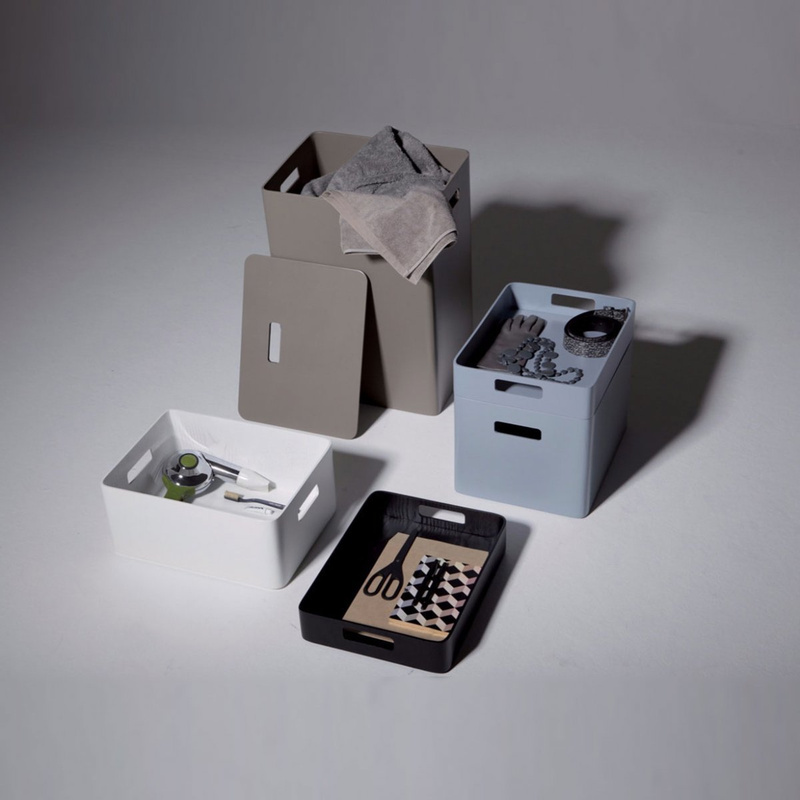 The Arigatoe tray by Atipico is designed to be functional, versatile and helpful with a touch of class for organising objects, at home or in the office. Part of a collection that includes containers of different sizes, stackable and modular in original coordinating sets, this tray stands out for its design and the quality of its materials. The look is clean and simple: simple shapes and clean lines are embellished by a lacquer finish that, at the same time, protects it from stains and scratches caused by intensive use it may face. A sophisticated traffic white shade covers the wood: beech wood for the exterior and an ash layer to reinforce the inner walls. Minimal style and great utility, the Arigatoe tray is inspired, as the name suggests, by the orderliness of eastern philosophies. Its frill-free elegance goes well with any type of furniture and is the means through which you can give any environment a Zen note or a Japanese look. Lightweight and spacious, but at the same time robust and minimally bulky, it's a smart solution for those looking for a space-saving and multifunctional object. Its side handles ensure a safe and non-slip grip, its outer edge protects the contents from falling out: bringing tea and coffee cups, plates or glasses with an adjoining bottle to the table will be a breeze. To give as a gift to others or yourself, this accessory is the ideal choice for those who love convenience combined with good taste. Concrete and discrete without being characterless, it is suitable as a tray used for both special occasions or ordinary ones, and as a container that can be placed inside cabinets, doors and drawers or left in plain sight to beautify and organize work tables, shelves and bookcases. Frivolousness and fun. Even the most tedious chores can become pleasant. This is the mission of Atipico, a company that designs furnishing items and decorative objects for every room of the house: there is no environment where this philosophy cannot be applied. 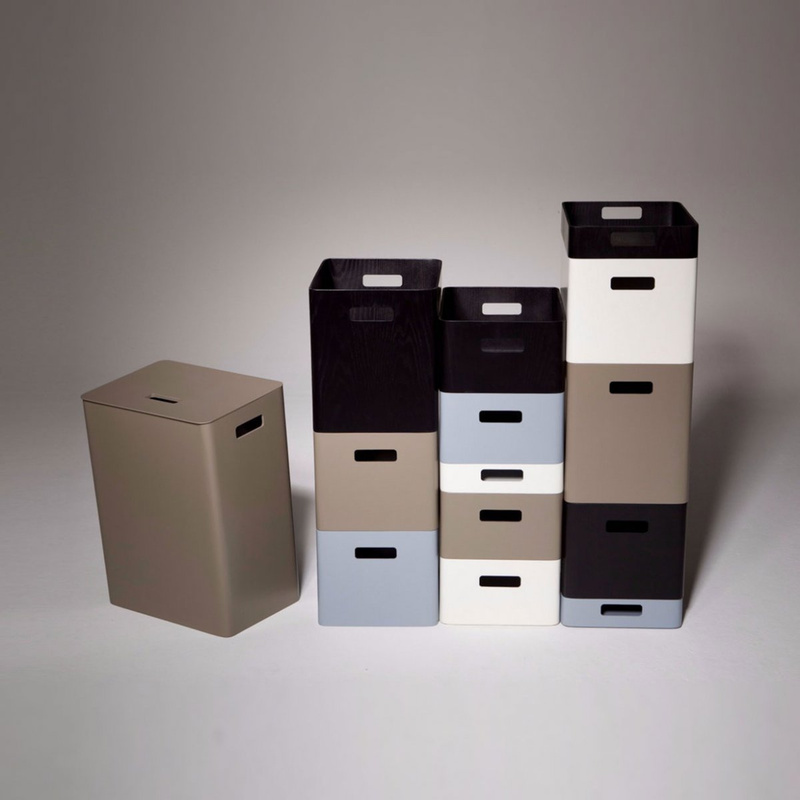 Home Design is enriched through functional objects with innovative and surprising shapes and colours.